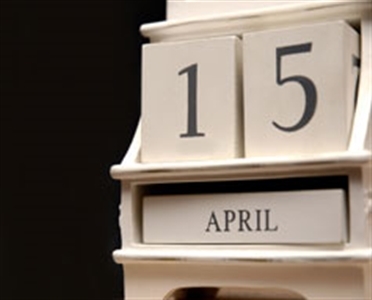 Feeling anxious about your tax liability as April 15 nears? The Bible has many references to taxes that will sound strangely relevant at this time of year, beginning with the story of David and Goliath. And yet, when demanding that Jesus be crucified, tax avoidance was levied as an accusation. “We have found this man subverting our nation. He opposes payment of taxes to Caesar and claims to be Messiah, a king,” (Luke 23:2). For the party in power, tax avoidance might have been the greatest offense. Such a standard requires civil interaction and mutual respect, important reminders for today’s toxic political culture. And every IRS agent can take comfort in the fact that Jesus himself had a tax collector (Matthew) as a disciple. Nonetheless, the growth in tax rates is cause for concern. While a 10 percent tithe to the church has been the standard for personal giving, today’s combined federal-state bite can reach about 50 percent. Remember, Pharaoh took only 20 percent of the grain in Egypt as a form of taxation during their good years. It’s worth debating whether the government should take such a large bite out of families’ resources. Still, pay your taxes, treat authorities with honor and know that nothing new is under the sun — not even the IRS. * Chuck Bentley is CEO of Crown, a nonprofit business, personal finance policy and educational organization, and author of “The Worst Financial Mistakes in the Bible and How You Can Avoid Them.” Copyright 2014 Religion News Service. All rights reserved. No part of this transmission may be reproduced without written permission.